Porcupines are brown, prickly, and climb trees. 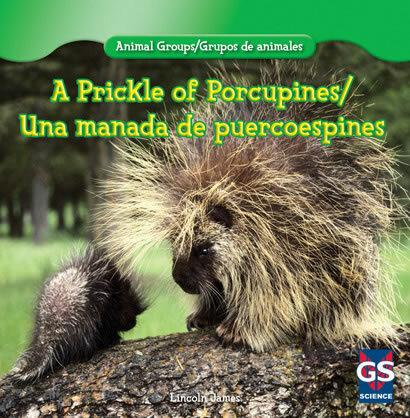 English language learners explore life in a group of porcupines inside the pages of this educational and enjoyable book. When a group of porcupines gets together, they're called a prickle. Porcupines often have a bad reputation as dangerous creatures, but they usually just want to be left alone. Thanks to numerous eye-catching photographs, readers get closer to porcupines than ever before. They also learn fascinating facts about porcupines through bilingual text and a helpful graphic organizer. Excellent Spanish translations provide engaging support for bilingual learners.